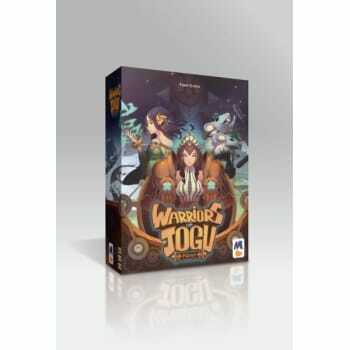 In Warriors of Jogu, players try to outmaneuver each other by sending their troops to the correct battle locations. Here is the catch: the players have different knowledge of where battles will occur. Who can deduce the missing information better by reading how the opponent troops are being deployed?